The 100,000 Homes Campaign is part of the strategy of the NGO Community Solutions to end homelessness in the USA, advocating and transferring the proven ‘Street to Home’ method pioneered in New York to communities elsewhere. A network of almost 100 organisations is committed to this work at the local or national level in addition to implementation teams in 190 participating communities. The Campaign started in July 2010 and ended in July 2014. The Campaign employs an innovative process of movement building and quality improvement methods to create two significant changes at the community level: a registry of all homeless persons and a plan to move 2.5 per cent of the chronic and vulnerable homeless population into permanent housing each month. Over 44,000 long-term and medically vulnerable homeless people have been permanently housed to date. Twenty-eight communities are currently meeting their 2.5 per cent monthly placement targets, up from 13 half a year ago. The Campaign advocates strategies that have a proven retention rate of 85 per cent. The Campaign is a scaling-up process in itself, Community Solutions now works on a regular basis with 190 local coalitions across the USA. The approach has also been discussed with political and community leaders in Canada, Australia, Ireland and Belgium. 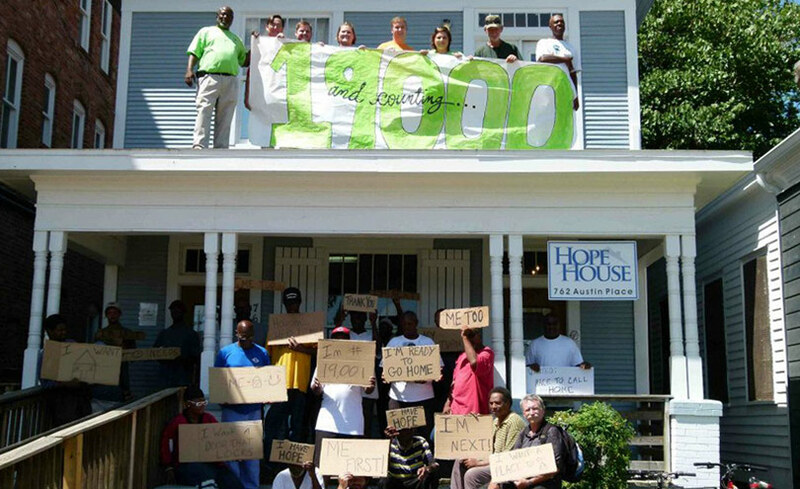 The 100,000 Homes Campaign is part of the strategy of the NGO Community Solutions (CS) to end homelessness in the USA, advocating and transferring the proven ‘Street to Home’ method pioneered in New York to communities elsewhere. A network of almost 100 organisations is committed to this work at the local or national level in addition to implementation teams in 190 participating communities. The Campaign started in July 2010 and ended in July 2014. The Campaign intends to build a national grassroots movement with the purpose of finding and permanently housing 100,000 of the most long-term and vulnerable people experiencing homelessness by 2014. The objective is to change the way that communities respond to homelessness and to shift efforts away from emergency responses to long-term solutions. Around 650,000 people are homeless in the USA on any given night, and from 1.5 to 2 million over the course of the year. For most, homelessness is short-term, but for roughly 100,000 it becomes chronic. 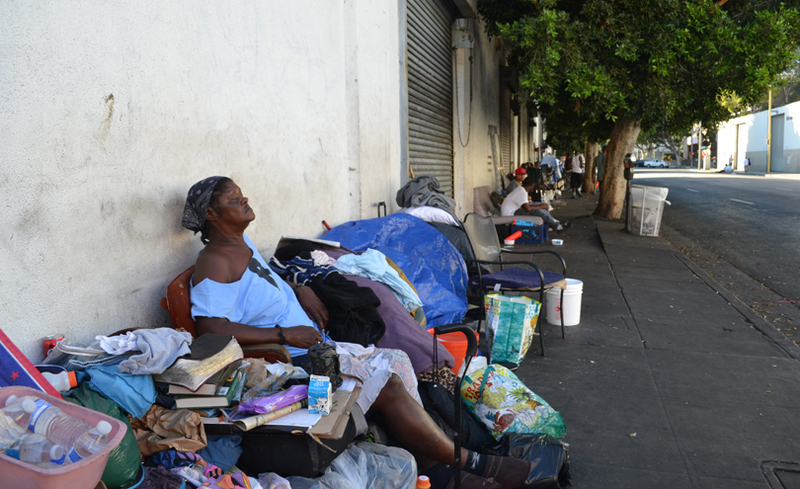 They have complex needs that prolong homelessness and make them dependent on costly government services that fail to deliver lasting or cost effective results. The 17 per cent chronically homeless consume over half of the resources dedicated to homelessness. Long-term homelessness seriously affects health; the average lifespan of a chronically homeless person is 25 years less than that of the average American. Previously, communities often provided housing on a first-come first-serve basis, rather than targeting those most in need. CS recruits prioritised communities into the movement; 190 communities have now enrolled and this number is still growing. A team is built from as many local sectors as possible. Free training is provided in Registry Week Boot Camps for a two-day orientation to the tools of the Campaign and the variety of resources available. Additionally, Veteran specific Boot Camps, hosted with the Rapid Results Institute, have trained 20 communities during three days and further coached during 100 days to rehouse veterans more quickly. A Registry Week in which hundreds of volunteers canvas the streets between 04.00am and 06.00am for three consecutive mornings to survey each person sleeping outside using the Vulnerability Index, a tool created by Community Solutions. This creates a by-name and by-photograph registry of all homeless persons, ranked by risk of premature mortality. This information enables data-driven negotiations about housing and support systems. 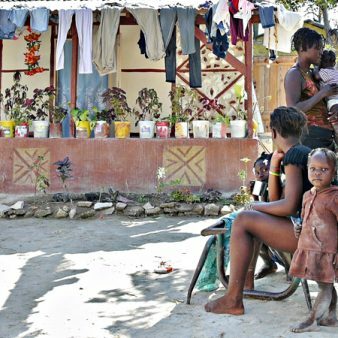 So far, over 100 communities have completed a registry of homeless persons. The needs of individual homeless people are matched with housing options, necessary health and employment support, as well as Critical Time Intervention support to enable them to maintain their independence in their own home. 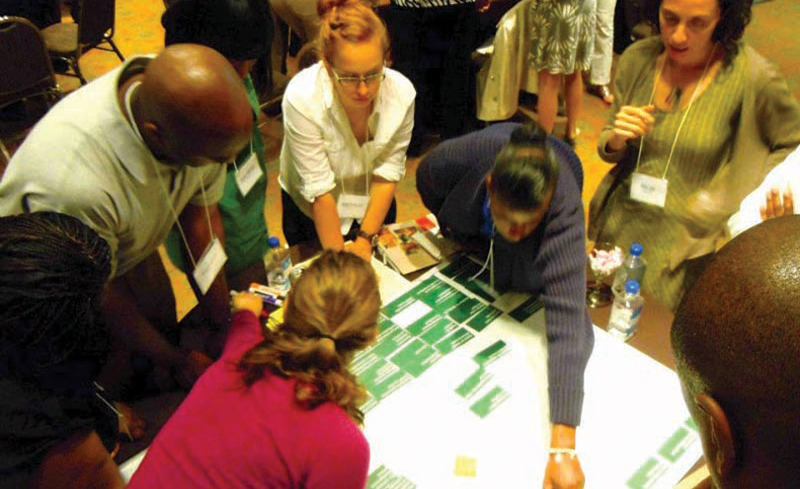 Enrolled communities across the USA have found innovative ways to line up housing and services, and of discovering resources they had so far not tapped into. The Campaign has a national network of like-minded communities and mentors to find new ways to secure units, funding and support. Each community receives a monthly progress report that compares their progress against standard benchmarks. The Campaign has a full-time director of strategic partnerships based in Washington D.C. who connects the grassroots work with high level officials and organisations. This person works closely with several central government departments and over two dozen strategic partners with whom CS synchronises efforts to move vulnerable homeless persons into permanent housing. The cost of the Campaign is US$1.5 million per year, funded mostly by foundations (12 in 2012) and corporations (KNO Clothing). In 2013, CS will receive more significant funding from the federal government and from a national veterans’ advocacy project, but much of the Campaign’s costs will still be funded from philanthropic contributions. No capital investment was required to launch or operate the Campaign. There currently is no cost to the participating communities. At the conclusion of the Campaign, CS plans to continue many of the consultancy services to communities for a fee. Sixty per cent of income in 2015 is projected to come from fees for turning real estate into housing for homeless persons with donations and government grants contributing 20 per cent each. Over 44,000 long-term and medically vulnerable homeless people have been permanently housed to date. Twenty-eight communities are currently meeting their 2.5 per cent monthly placement targets, up from 13 half a year ago. The Campaign advocates strategies that have a proven retention rate of 85 per cent; a survey showed an actual retention of 90 per cent after one year in housing. Hospital costs were vastly reduced, as was return to jail. Levels of income and employment increased. Some of the innovative tools are effective, e.g. the ‘Rapid Results Housing Placement Boot Camp’ has already helped four (out of 20) communities double their placement rate. Nine communities reduced the time it takes to move veterans into housing, some by 75 per cent. Three communities improved their targeting of chronically homeless veterans; e.g. from 26 to 93 per cent in Atlanta. Such boot camps will be rolled out to 40 communities focusing on non-veterans in 2013. Rapid-results teams also report changes in mindset, behaviours and processes that carry the effect beyond their lifespan, e.g. Unprecedented levels of collaboration between and across agencies and not-for-profit organisations active in the community. Various versions of ‘one-stop shops’ for housing solutions have been implemented to streamline housing placement efforts. More staff has been involved in going directly to homeless persons, with more delegation to these frontline staff. 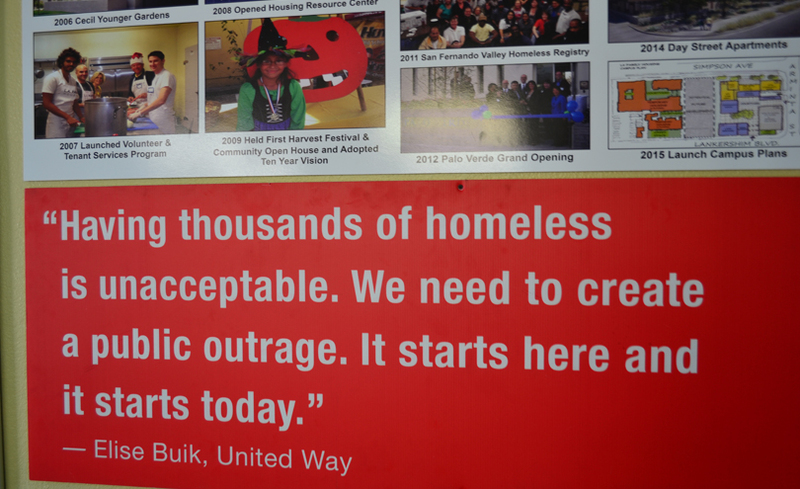 Heightened awareness about the need to focus on chronically homeless individuals. Deeper engagement of the local mayor’s office in the process and resulting support. Beyond that, it has enabled data-based dialogue between national leaders and grassroots leaders, partnering to identify solutions to chronic homelessness based on what actually works at local level. In over 189 communities there has been a transformation of their response to homelessness resulting in a wider ‘can-do’ attitude to tackle complex social problems. Some communities have gone on to address other issues as well. Dozens of public housing authorities have created ‘local limited preferences’ which enable homeless people who meet the criteria for chronic or vulnerable homeless to effectively move to the front of the waiting list for housing. Multiple government agencies created a ‘one stop’ model where veterans could be issued with a voucher for permanent housing on the same day they applied. Local Public Housing Authorities’ Administrative Plans were amended to prioritise chronically homeless persons. Local agencies have condensed administrative paperwork, creating a Unified Application between agencies. An overarching goal that helps mobilise groups into action and quickly captures attention and support. It also changes the focus from providing housing on a first-come, first-serve basis to medically fragile and chronically homeless persons. The Continuous Quality Improvement approach uses data collected on a large scale to feed into the entire human services and housing sector. A unique set of simple replicable tools to gather and assess data, monitor progress and quality, and help communities transform their response to housing vulnerable people, overcome barriers and improve their housing placement. The Campaign does not undertake building work itself. In most cases, existing buildings have been used by participating organisations to provide housing for homeless persons. The Campaign is respectful of environmental principles. For example, communities are trained on how to use existing resources efficiently, and that ending homelessness needs resource coordination, not building new facilities. Taking people off the streets into secure accommodation has positive public health impacts. The Campaign is funded from public and private sources. It is now building relationships with federal government partners to establish a fee for service arrangement that could expand its reach. When it ends, CS intends to continue to provide improvement and data management services at a modest fee. The Campaign is already demonstrating a series of cost-efficient solutions that could be suggested as alternatives to government. The Campaign believes that the best way of ending homelessness permanently is to provide an integrated but tailored package of housing + health + employment support. Where relevant, homeless people receive employment support, which has increased income and employment. Having a permanent address is important in being able to access employment. 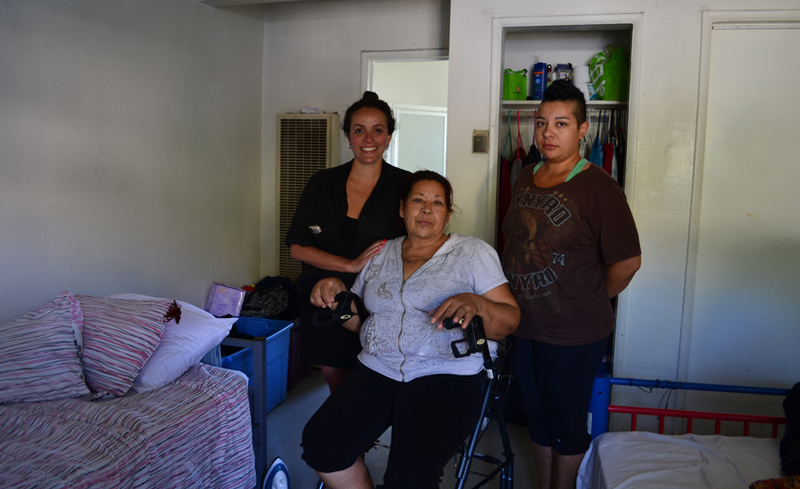 Housing is made much more accessible to chronically homeless persons. The involvement of communities and a wide range of partners has enabled the development of innovative solutions and the pooling of resources that have made the provision of housing to homeless persons more cost-effective. There is more engagement and collaboration, both within and between communities (e.g. by over 7,000 people volunteering) and with external support agencies on the issue of homelessness, of the ‘can-do’ attitude this generates. Communities are able to apply the methods for collective problem solving used to tackle homelessness to other problems in society. The Campaign provides capacity building and support to enrolled communities, and has developed various tools to help communities tackle homelessness, e.g. boot camps, self-assessment tool, barrier-jumping toolkits, and provided more intensive support to the low-performers. As a result, communities have performed much better in dealing with homeless persons. Moving people from the streets, where their health and safety are at great risk, to stable housing almost always has a positive impact. Over half of homeless adults struggle with mental illness. Data of 2011 put the average annual cost of providing supportive housing to an adult at US$24,190, as against a cost of US$56,350 for emergency, inpatient and crisis services to a homeless individual with mental illness. Philadelphia now has a programme that targets Medicaid funds to support housing for homeless people and there is a growing effort to make that happen at national level. The Campaign is ensuring that the needs of medically vulnerable and chronically homeless persons receive greater priority. As these are the most marginalised of homeless persons, and arguably of society, this has the effect of reducing social inequality. There is some evidence of individual people, who were previously homeless, reducing or eliminating their dependency on drugs or alcohol, becoming employed, staying in schools, etc. with the effect of them becoming less isolated and taking a more active role in society. Local laws, culture and customs, geography and climate, and politics and feelings regarding race and class, often present a unique set of barriers in each community. Such differences make comparisons difficult and can make a one-size-fits-all approach to reducing barriers fail. Tools that can be customised in the unique context of each community are needed. While all communities could provide examples of ‘Housing First’ (the practice of helping homeless persons from the street directly into housing, without conditions), no community has yet been able to adopt Housing First as a uniform standard. 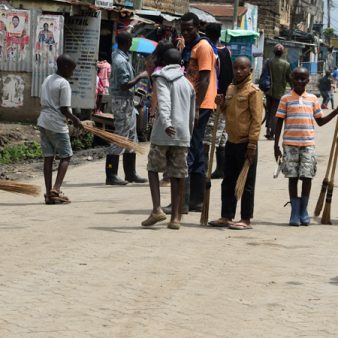 Similarly, while most communities were able to offer examples of programmes that use a harm reduction approach (the practice of gradually weaning a person off drug or alcohol abuse), no community is close to using it consistently. While each community was able to demonstrate high-performing programmes, only one showed evidence of a truly unified homeless and housing placement system. For the most part local ‘systems’ consist of many semi-autonomous efforts. The vulnerability registries provide communities with actionable data and a practical method for targeting their efforts. The power of data and regular sharing helps leaders understand their system and provide targets for improvement. Higher performing communities appeared to have ‘champions’, who are placed at a sufficiently high level to affect systems or programmes. Lower-performing communities still had champions, but less powerful, or had lost their leading advocates. It was critical to ensure that all key players attended the Boot Camp Launch, participated in setting local goals and building the 100-day local work plan. National and regional partners were also needed, to clarify policies and enable local success. The Campaign aims to move chronically homeless people to the top of waiting lists, thus moving short-term homeless people down. But the housing sector has evolved and they now have access to less expensive and equally effective interventions that were previously unavailable, such as rapid rehousing support. The Campaign currently provides enrolled communities with monthly feedback reports against the 2.5 per cent homelessness reduction target and in comparison with four similar communities. The Centre for Urban Community Services is retained as Quality Assurance provider for the Campaign, providing third party monitoring of data. It also conducted a qualitative study in 2012 of three high and three low performing communities that identified 19 factors associated with successful placement performance. A self-assessment tool by which communities can identify performance gaps against 19 indicators is being tested and will then be shared with enrolled communities. Barrier-jumping toolkits have been developed to help communities implement improvements in each of the 19 factors. Funding has been received for an evaluation in the final year of the Campaign (2014). The Campaign is a scaling-up process in itself, taking a proven approach in New York, to the USA as a whole and beyond. The Campaign team itself attempts to accept as many invitations as possible to visit external organisations in the USA and abroad to discuss and advocate the Campaign’s methodology. The Campaign now works on a regular basis with 190 local coalitions across the USA. 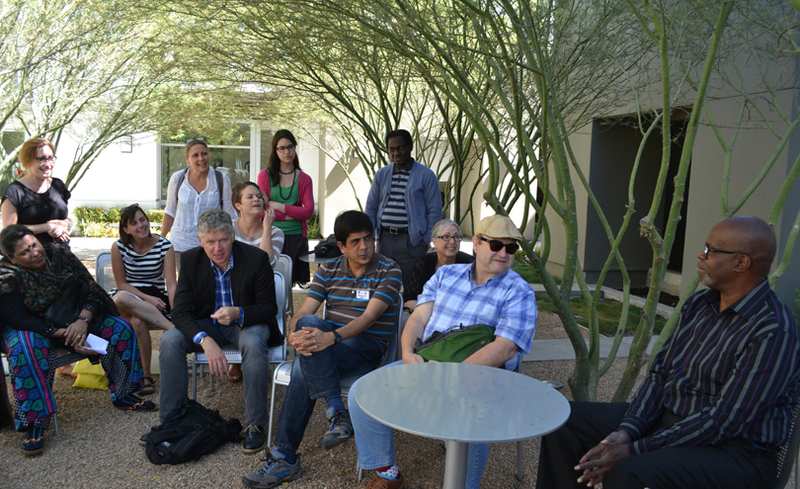 The approach has been discussed with political and community leaders in Canada, Australia, Ireland and Belgium. In the first two, this has now led to similar campaigns; support has been provided to five cities or regions. In Brisbane, the Vulnerability Index and Registry Weeks methodologies were applied to triage flood victims and rehouse them very rapidly. Take up in Ireland and Belgium is imminent. In 2014, Community Solutions and 186 US communities announced that they had found housing for 100,000 homeless Americans in less than four years. Today, many of those same communities are fighting to end veteran and chronic homelessness outright. Film of Community Solutions meeting the target ahead of schedule. The success of the 100,000 Homes Campaign has inspired similar initiatives in Canada, Australia, Belgium and the European End Street Homelessness Campaign. Community Solutions have built on the momentum of the 100,000 Homes Campaign and launched an even more ambitious programme – the Built for Zero (formerly Zero: 2016) to end veteran and chronic homelessness in participating communities across the United States. Community Solutions regularly blog about their progress in meeting their ambitious goals and their wider work. 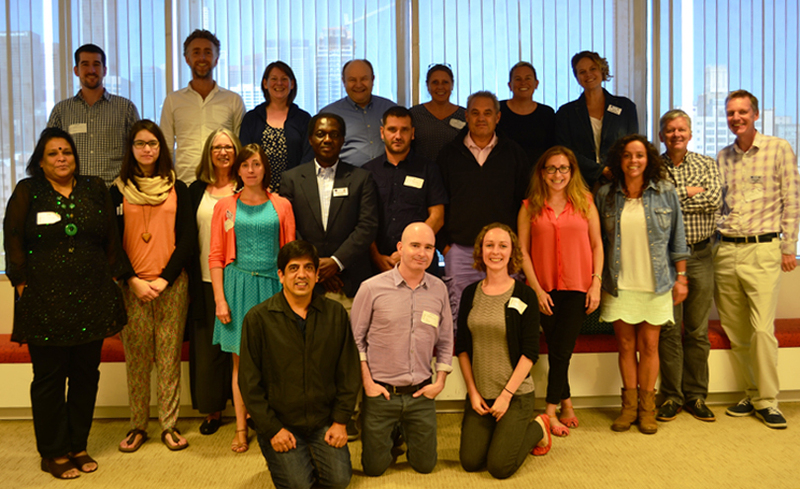 In September 2014 the peer exchange we developed with Community Solutions to see the work of the 100,000 Homes Campaign took a group of homelessness experts to Los Angeles in the USA. The full report detailing the peer exchange is available for free download here. Find out how this peer exchange went on to influence our European End Street Homelessness Campaign in our 40 years publication.